My Student Logbook helps make success simple with their individual My Student Logbook in 9 unique covers. The physical Logbook sells for $15. You can also get it in a PDF form for $10 for single use, $20 for a family license. 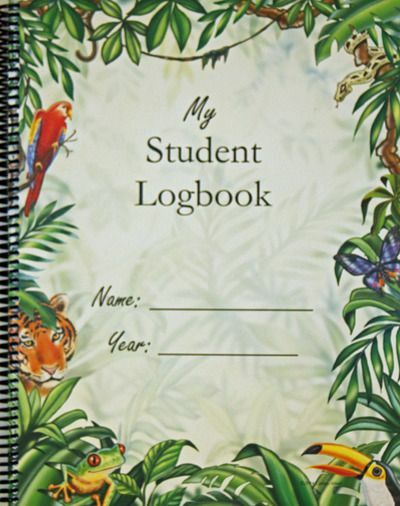 My Student Logbook works great for 2nd grade and up. I used it for my 7th grader. Cover choices include; butterflies, dinosaurs, sea life, jets, rainforest, freedom, planets, golden vines and vintage maps. We chose rainforest because my son really loves animals! We chose to have our planner dated, you can choose to leave the dates off if you want to. I thought it would save time to have it predated for our school year. This program is set up a little bit differently than just using a notebook, or planner that you need to spend a lot of time writing in. You can basically use the same topics on the left side of the planner for as long as you need. The page actually overlaps the dated page and can be reused on the next dated page. I really wanted my 7th grader to take ownership of his school day, being able to see what he has accomplished and what needs to be done still. This planner allows him the basics of knowing when he finishes Math, Science, English, Bible, etc. He can make a check mark, smiley face, or even for the younger kids utilize small stickers. The sense of accomplishment as they check off their day's requirements. It helps establish time management for the very young. I didn't find that we could use this logbook independent of my planner though. With my older, high school students, I use a planner where I write the exact pages they need to do and assignments daily. They can then work free of me to get their work done because they are informed of the daily tasks. 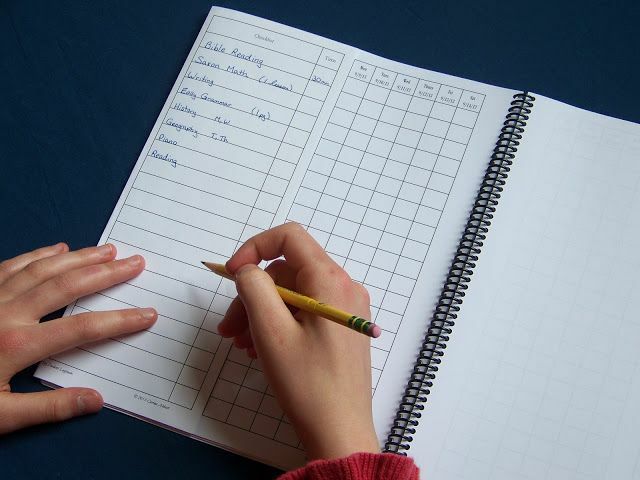 With The Student Logbook I do not have anywhere to write down specifics in each topic. The squares are only big enough for a check mark. I can't use the topic lines on the left because they cover a week at least in time. This is not to be considered a 'planner' because it isn't set up for enough information for the student. I find as a logbook it will best be utilized with the younger kids. I think that they can confer with Mom on what their math assignment page is, and then once they complete that they mark their logbook that it is complete. It is still giving the sense of accomplishment and some independence especially in workbooks that they know they just go on to the next page. It is a great training tool in learning how to keep log, and to plan. If you can utilize the daily square to write a page number for the days work, you may be able to use it to some degree as a planner. I tend to use a variety of curriculum in subjects like spelling, writing and English so it wouldn't work for that. Math however would be easy to simply put the next page number in sequence as we work through just one book. What did the Crew think about My Student Logbook? Click on the banner below and find out!